Maybe you can solve a Vespa mystery. It’s my 2010 Vespa GTS 300 i.e. It has just over 50,000 kilometers on the odometer. Can a Vespa rise from the dead? Is it possible for a blown head gasket, something akin to a brain aneurysm, to heal spontaneously? If not, was the gasket in fact blown? And if not, whence the coolant leak? So many questions. For the time being no satisfactory answer. Here are the facts as I know them. I need your insight. After a long day’s ride from State College to Niagara falls, some 370 kilometers, a coolant leak in the engine compartment brought the day’s ride to an abrupt end. It was impossible to see the source of the leak. The coolant was running down onto the center stand pivot or axle and dripping from there. 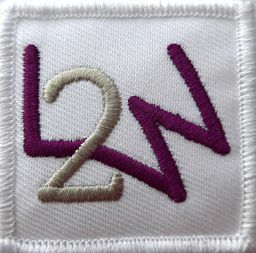 You can see this symptom in the video above which I posted as episode 22 of my vlog. 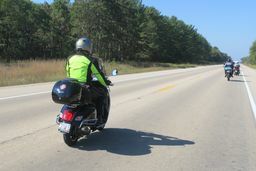 Other symptoms: when I opened the saddle to refuel, steam was rising from the engine compartment. When I removed the underseat bucket to reveal the engine, there was coolant everywhere, as if there was a spraying coolant leak. The underside of the seat compartment bucket was wet. When I started the bike with the bucket out, the coolant was dripping from the stand below the motor, but there was no evidence of a leak seen from above the engine. The Vespa completed its trip on a flatbed, ending up at Vespa Toronto West. Lou Dibiase, whom I trust, diagnosed a blown head gasket. More spefically, a blown lower head gasket, the one that’s between the two halves of the engine, I think. That seemed like a reasonable diagnosis. Last week I needed to get my bike down from its P1 parking spot to a temporary spot on P3 because the P1 level was being pressure washed. I refilled the cooling system with tap water, up to the lower fill mark on the reservoir. I fully expected to see the water begin dripping down the stand. But there was no leak. I started the motor. Still no leak. I left the motor running until the bike reached normal operating temperature. Still no leak. I rode down to P3. Still no leak. Two days later I checked on the bike before riding back up to P1. Yup, still dry. I discussed the situation with my friend Ed Thomas, a very experienced motorcycle mechanic. Ed thought that perhaps the water was now leaking into the oil pan via the blown gasket rather than leaking to the outside. He suggested checking the coolant level in the reservoir, and checking the oil level. If both were at their normal levels, it would be reasonable to conclude that the coolant wasn’t leaking into the oil. I checked and the levels were normal. Today I decided I would hop on the Vespa to run a few errands and eventually make my way over to Ed’s workshop, to talk, well... talk shop, and zombie Vespas. You guessed it, still no evidence of any leak. That, and I kept an eagle-eye on the instrument panel: the engine temperature remained normal the whole way. The check engine light lit up a couple of times, but reset itself with an engine restart. That happened three times on the way to Ed’s, each time shortly after one of my little errand stops. It never happened on the way home. That was a 30 kilometer return trip, all on city streets, no expressways. Ed’s as stumped as I am. The only other thing I can think of, is that close to the Pennsylvania New York border, I refueled at a tiny country gas station, and I realized that the helpful attendant handed me a nozzle switched to regular gasoline with ethanol. I only realized it had happened further down the road when the engine started stumbling slightly. Three tanks of 91 octane fuel later, the performance symptoms disappeared. I don’t think that’s relevant. I just mention it because it’s the only other engine-related issue that occured on the trip. So there you have it. 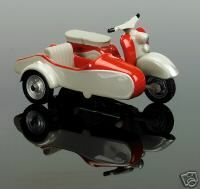 The Vespa seems for all the world to be running like a top. Or at least running as well as it did when I set out for the wilds of Pennsylvania. What is your take on this little Italian mechanical mystery? Is there any chance that the coolant leak might have come from the coolant bleed valve at the top of the engine rather than from a head gasket leak? Can a blown gasket heal itself? Should I overhaul the engine on the assumption that there is a defective gasket? Like I said, I am stumped. 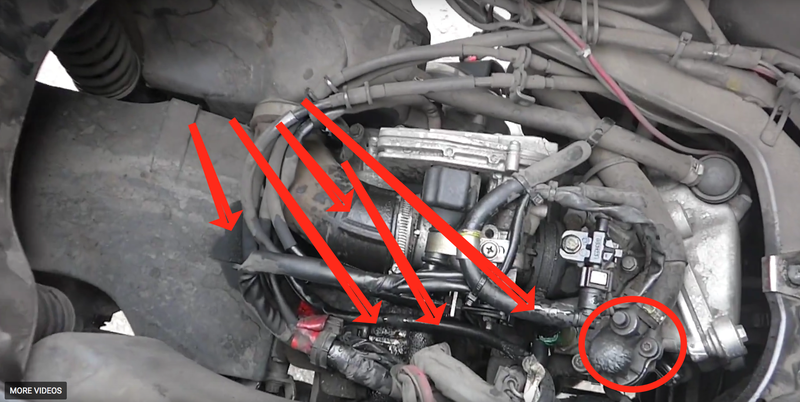 I had this happen once on my GTS300 and I swapped out the thermostat and it never happened again, my thoughts were perhaps it jammed shut and water in the coolant chambers around the block boiled over due to not being able to travel around the constant normal operation loop. I think Len may be right. The coolant leak makes more sense coming from the thermostat housing / coolant bleed valve than from a head gasket. 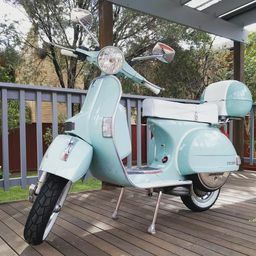 If you had the scooter sent on a flatbed to Lou's Vespa Toronto West, did he not fix the issue? If you've ruled out everything else, it may be coming from the thermostat housing. Lou was sure it was a leak from the lower head gasket. That’s a ~CAD$1,500 repair bill, minimum. But that diagnosis seems not borne out by the subsequent events related in my original post. I think you’re on the right path with my friend Len. I think something failed at the thermostat, either the thermostat, the bleed valve, the hose clamp, the O ring(s) at the thermostat, or the thermostat housing. If so that would be really good news. It is very rare to have an external coolant leak turn out to be a head gasket. It would usually go into the engine oil or out the exhaust. Had it gone to the exhaust, the bike would have been belching steam from the exhaust and it never did, so that can be ruled out. My oil and coolant level checks yesterday are inconsistent with a leak into the engine oil. Your comment makes it all the more likely that there is no engine gasket failure. Thanks for weighing in, much appreciated. The circle is the thermostat housing and the nubby thing in the circle at the twelve o'clock position is the coolant bleed valve. The arrows point to the areas that are wet as a result of the leak. Remember that the pet carrier / underseat container was in place when the leak was leaking. It seems consistent with a leak from the thermostat that the wet areas are aft of the thermostat. The areas forward from the thermostat are dry. Whatever that evidence points to, it is not really consistent with a head gasket leak, or so it seems to me. The Vespa completed its trip on a flatbed, ending up at Vespa Toronto West. They diagnosed a blown head gasket. More specifically, a blown lower head gasket, the one that’s between the two halves of the engine, I think. That seemed like a reasonable diagnosis. Hmm. Not clear whether you mean the gasket at the base of the cylinder (possible) or the one which seals the two halves of the crankcase (unlikely). You don't develop anywhere near as much pressure in the crankcase and spraying coolant all over does not seem likely to me. You would lose engine oil if anything. I think the thermostat/bleed valve area sounds far more likely as you suggest. 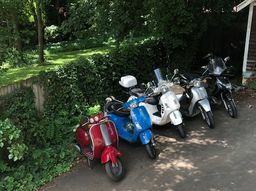 Probably time for a trip back to Vespa Toronto West for reconsideration. So, no 2018 scooter then? The dealer showed me what he referred to as the gasket sealing the two halves of the engine. In my video I am pointing to the base of the lower half but I think that's misleading. It didn't seem to matter at the time and I threw that footage into the video more for effect than diagnosis. I now regret not filming the diagnosis more carefully. In any event those parts were new parts from inventory, unrelated to my bike. If I understood my dealer correctly, when he said 'lower head gasket' I believe he meant the gasket that seals the two engine halves. at the top of that assembly is where the piston ends its travel. I think that the top gasket seals off the combustion chamber, and the one he thought developed the leak would the lower gasket where the piston begins its travel. The lower half of the engine is where the crankcase is. All of which to say that I understand your comment to be that it is unlikely for that gasket to have failed. I need to go back to the dealer eventually in any event because I intend to take my friend Len's advice and replace the thermostat. Another talented amateur motorcycle mechanic, my friend Doug, chimed in on my blog suggesting that the likely culprit is the thermostat. Thanks for your reply, it's much appreciated. If I understood my dealer correctly, when he said 'lower head gasket' I believe he meant the gasket that seals the two engine halves. at the top of that assembly is where the piston ends its travel. I think that the top gasket seals off the combustion chamber, and the one he thought developed the leak would the lower gasket where the piston begins its travel. That is usually referred to as the "cylinder base gasket" and is not the gasket which seals the two halves of the crankcase together. A failure of that gasket could cause a coolant leak, of course, but your observations don't seem to match that diagnosis. Yes Dave, really, really good news. Yesterday I was serious contemplating working out of a friend's workshop, pulling the engine, yada, yada, yada, not something I would look forward to. Though I read that Stephanie Yue was having issues with the sparkplug threads and was contemplating doing a head change herself on the road. Wow, certainly puts me to shame. 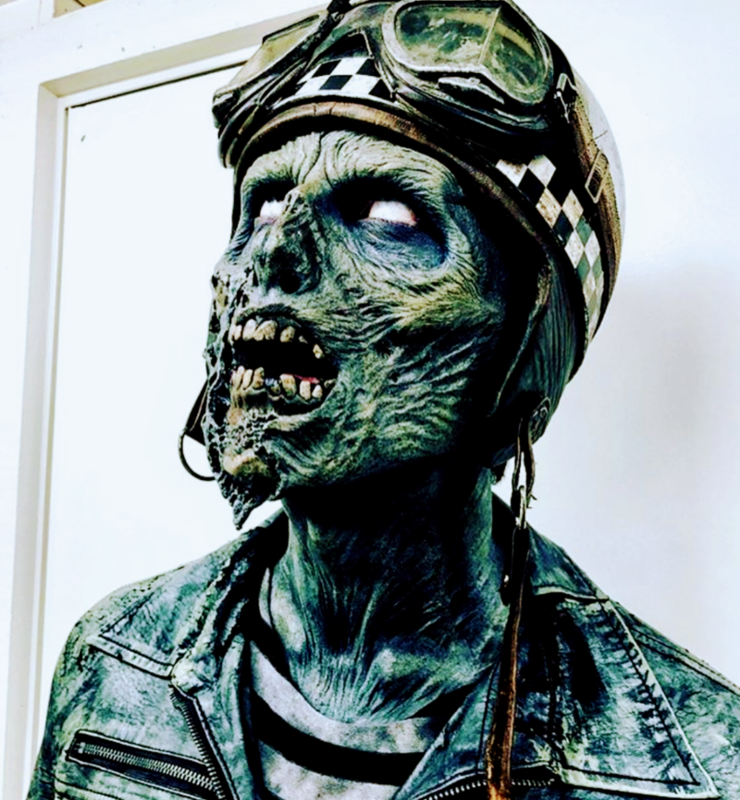 Zombie Vespa? Needs a zombie rider. I agree with your detective work, like Dexter follow the blood splatter. The antifreeze on the engine is what you would get if it came out of the thermostat housing, hit the pet carrier and came down on everything we see. I understand that the thermostat housings are prone to cracking, you may find a slight crack in it that was made worse by the engine rejecting the bad gas. That's my theory, then again the Zombie scooter makes more sense. The consensus of folks on my blog is that the culprit is the thermostat. That's a cheap fix. With a little luck I'll pick one up in the next few days. Out with the old, and in with the new. I'll also pick up what I need to flush the coolant and get some new coolant running in the Vespa's veins. Thanks for contributing to this thread, it's appreciated. I really appreciate your contributions to this thread. It looks like my Vespa isn’t a zombie after all, just a bad case of heartburn.